We are happy to inform that JustForex announced incredible Double Benefit Bonus offer. Join JustForex and we’ll match your first deposit of $200 and more giving you up to $20,000 USD to trade. 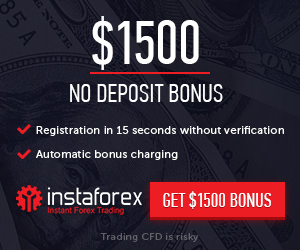 Trade forex, commodities, energies, indices with JustForex, and benefit from one of the safest and most rewarding online trading environments, powered by the up to 100% Deposit Bonus. Don’t let this opportunity pass you by.